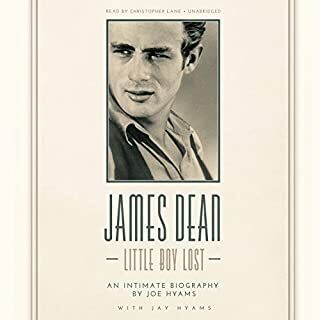 This book follows its fascinating subject from the Indiana farm where he spent an active but troubled boyhood to the crucial, early training ground of the New York theater world to his meteoric rise to international stardom in the movies. It shows how postwar Hollywood was still a charmed, leisurely community, yet one ripe for the explosive ascension of a dynamic new presence like James Dean. Some presidents needed their predecessors to keep their secrets; others needed them to disappear. Most just needed help getting the job done. Truman enlisted Hoover to help him save Europe; Kennedy turned to Ike on Cuba; Nixon sought Johnson’s advice on getting reelected, but then tried to blackmail him; Ford and Carter couldn’t stand each other until they saw what they had in common; Reagan and Clinton relied on Nixon as an off-the-books emissary to Russia; Bush put Clinton and his father to work and they became like father and son; and Obama and Clinton became quiet rivals for the same crown. 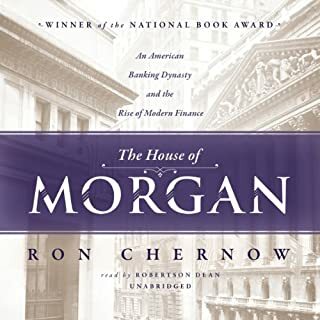 I've read MANY historical accounts of the presidencies covered in this book, and did notice a few areas where the accounts here didn't quite jive with others (considered to be authoritative), but I can't speak to the bias that I noticed in other reviews, as I'm not far enough along to have encountered them. I certainly don't see it thus far, and I'm up to the account of Nixon's campaign. I've never written a review prior to finishing a book, but this one made me want to due to the narration. Perhaps it will help someout out. Argghh! I'm truly surprised that more folks haven't mentioned this, but Bob Walter's inflection and pacing is reminiscent of a really bad John Wayne impression. I'm not terribly picky about narration in general, and thus didn't listen to the sample. I wish I had. I find his pacing, inflection, and emphasis bizarre, and very distracting and annoying. This experience . . . has . . . taught me that I . . . should definitely . . . listen to the . . sample before I . . . purchase . . . a book. I'll certainly avoid him in the future, as it makes the book a tedious listen for me. Finally, at least thus far, the authors didn't seem to have enough material to warrant a book on the specific topic of the relationships between past and present presidents, and spend a considerable amount of time away from that angle. I understand the need to provide historical context to readers, certainly, but much of the time it feels like the 'presidents club' is more of an aside. I was hoping for more on this specific topic, as it's interesting, and usually an aside in more focused biographies of presidents. However, this doesn't provide much to previous works in this respect. As such, it kind of feels like more of a marketing angle to justify a history of the presidencies of Truman through the present. If you haven't read a lot of political history, that might be more interesting to you, but if you've read a lot, it's mostly a re-hash with a little more emphasis on the presidential relationships. 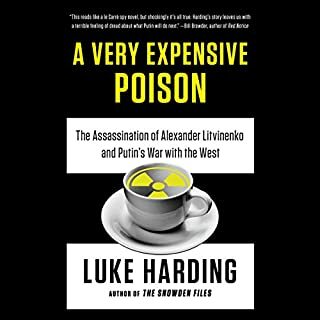 Just to put this review in context, it is the worst I've ever given, by far--and again, mostly due to the narration, and to a lesser extent, to the paltry amount of new information regarding the presidential relationships. Would you listen to The Presidents Club again? Why? I would listen to it again, probably after a few years. After more history is revealed about the Presidents, would be interesting to go back and compare what is in the book to things that have come to light since its publication. What was one of the most memorable moments of The Presidents Club? Three ex-presidents traveling to Egypt for the funeral of Anwar Sadat. Some of it was funny because of the awkwardness but in the end Gerald Ford and Jimmy Carter became sort of friends. I found out so many things I never knew. I never knew that Harry Truman barely had any money, what a sensitive spirit Lyndon Johnson had or how close Bill Clinton is to the Bush family. There are many memorable moments in the book, many very touching, even about Richard Nixon. I found both the subject and the narrative--discussing the relationship of two presidents at a time--engaging. But two things about the book left me unsettled. The first is a tiny factual error about the origin of the name for the Roosevelt Room; if a foreigner who has watched one season of The West Wing can spot an error, odds are that there might be more lurking. The second unpleasant surprise was the almost complete reversal of my feelings towards many of the presidents discussed in this book; I could not shake the uneasiness that the authors seemed overly critical of or a little too eager to pounce on the merest character flaws of Carter, Clinton and even Obama (or at least his staff), while the two Bushes and Ford came out as hopelessly misunderstood men who really were decent men with the best of intentions. The only unsurprising point was how big a crook Nixon really was. I hope more discerning reviewers will shed light on whether the narrative was at all biased. It would be a terrible shame if the authors let their opinions taint the little-known stories about this exclusive club. This book just "blew me away"
Richard Nixon was my favorite character because of the influence he had on all the presidents after his resignation up to and including Bill Clinton. He was outstanding portraying all the characters. I found myself laughing out loud and weeping all through the book. It just drove my two dogs crazy. I am 66 years old, have always been interested in politics, and a news junkie but nothing you thought you ever knew can prepare you for the revelations in this book. It's one of those "I didn't even know that I didn't know" kind of things. "The President's Club" will blow your mind and you will come away with a new respect for the President be they Republican or Democrat. The authors told the stories for the US presidents from Truman all the way till now. This book distilled sixty more years history into slightly over 20 hours, while leaving you some very vivid images of each president. You can see the changes of each former president, and stories are told about the frustration of current presidents with fromer presidents. A great listening! If we include The Drift (Rachel Maddow) and Game Change (John Halperin and John Heilmann) with this book, we have an unintended Voter Trilogy for the 2012 elections! I recommend all three for their insight, research and even-handed analysis of our politics in the last decades of the 20th and early years of the 21st centuries. Compelling listening. The President’s Club is probably the most exclusive club ever formed. The prerequisite is to be a former PRESIDENT OF THE UNITED STATES. It has a variable membership as elections and deaths occur. The actions and contributions of these ex-presidents fascinate and surprise the reader (listener}. In some cases their post-presidential contributions were more significant than those made during their tenure in office. 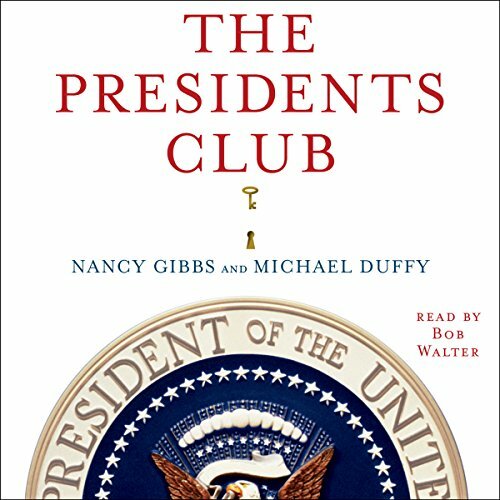 Gibbs and Duffy examine crises faced and lessons learned during their respective presidencies that led to redeeming contributions after they became members of the President’s Club. How did President (General) Eisenhower relate to JFK? To whom did LBJ turn for help about foreign affairs after the assassination? How was Richard Nixon accepted after his resignation? How helpful was The Club when Gerald Ford was catapulted into the presidency after the resignation of Nixon? These are just a few questions explored. Jimmy Carter and subsequent presidents are all included. Sometimes you will laugh; sometimes you will swear like a sailor. The book is interesting, revealing and infuriating. A great listen! I enjoyed this book, and not only because I did not know of the club's existence. Good history, interesting facts - would recommend. 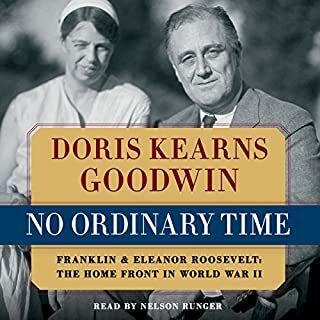 This book is well written and filled with juicy scenarios, tidbits of conversation, explanation of relationships between the presidents since Truman. I have an amateurs interest in history and appreciated this recounting of relationships between the presidents in my lifetime. Learning more about The egos, the graciousness, kindness and surprising relationships that developed between the various presidents makes me feel that I have an inside track on understanding how this democracy experiment continues to work. It ends with Obama still in office. I’d certainly be interested in an update in a few years. The authors do an excellent job of reconstructing and recounting the history of the club. Interviews with several of the presidents of the last thirty years, as well as aides, family members, and colleagues, help make this rich in detail and insight. We get to know he club members from Hoover onward. We get a real sense of their strengths, weaknesses, and particular quirks, as well as both the rivalries and the unexpected friendships they formed. It's a rich and well-informed narrative, told mostly chronologically, with divergences from that to follow up on themes and specifics where it seems appropriate. In addition to the strong writing, the narrator has a strong, clear voice, making for good listening even in traffic. I learned a lot, and enjoyed learning it. Would you try another book from Nancy Gibbs and Michael Duffy and/or Bob Walter? I would try another book from the authors and would avoid the narrator. It was a bit forced. I couldn't connect with him. I felt at times that he was unsuccessfully trying to do impressions of some of the presidents. I loved the history I learned. As we got to the more current presidents, I could recall many of the events mentioned in the book. It was great to hear some background. I reinforced some opinions I held and changed others. That's a good book. A book that can make you reconsider your previously held beliefs is a powerful tool. 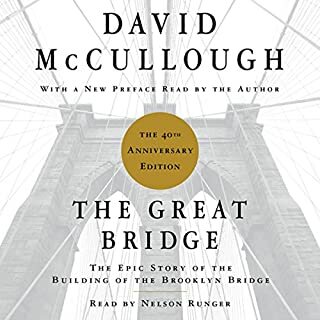 This is one of the most consistently good audiobooks that I have listened to all year. Fascinating overview of history, great anecdotes and nicely structured. One problem though, and it's a major one; the narration. I'm sad to say that Bob Walter has the most distracting speaking style (kind of like a cross between Messrs Bean & Spock) that took an awful lot of getting used to. I did to a certain extent, but it jarred, occasionally altered meaning & generally withdrew me from the narrative. Still a thoroughly enjoyable listen, but could have been even better! If you are a rabid left winger or a right wing zealot this book is best avoided because it will crush the divisive nonsense rhyming around your head. Eisenhower masterminding early days of LBJ Whitehouse? Gerald Ford leading Bill Clinton defence case or George Bush senior and Bill Clinton becoming as close as father and son.....This book is a fascinating look at the real human relationships between members of this exclusive club. A little fawning in places but very insightful. A kindly insight into the characters behind the politics. Easy to listen to performance. The book provided a fascinating insight to the sheer pressure that any US President is under every day of their Presidency. It highlights that the 'buck' does stop at the President's desk and the human travel this causes. It is apparent that no one other than a former President actually understands the pressure to make life or death decisions impacting on hundred of thousands of people if not millions. The book reveal how serving President seek out the advice of their predecessors who are happy to give it. It is clear that it is a job beyond the capabilities of most normal human beings however the existence of 'The Club' has greatly assisted the sitting President and perhaps changed the course of history. To finish the book provided an insight into the way the US political system operate, the frustration and achievements of sitting Presidents and the fascinating relationships between former Presidents. Many of these relationships were/ are very surprising. 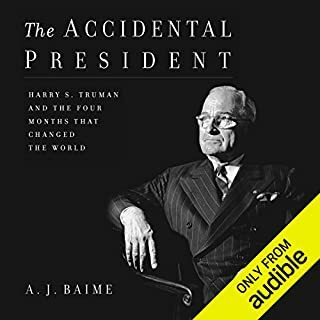 This book tells the stories of the behind-the-scenes relationships between all post-WWII presidents, from Truman to Obama (plus Herbert Hoover). For anyone interested in history, this will be a sinful treat. For those less interested in history, it will still be a great source of juicy historical tidbits, which at the very least will shed a new light on the chasm between presidents' public postures and their behind the scenes attitudes. The book is broken-down into presidential pairs, with almost never more than 2 presidents being covered in one chapter, and the format works really well, a tribute to the author's skill in organizing the flow of the book. fantastic book. beautifully read. elegant and at a pace that made the brilliant content flow. great historical book.